At SAM, we specialize in the precision machining of niche aerospace products of complex geometry that are made of aluminium alloys and hard & tough materials such as stainless steels, titanium and nickel-based alloys. 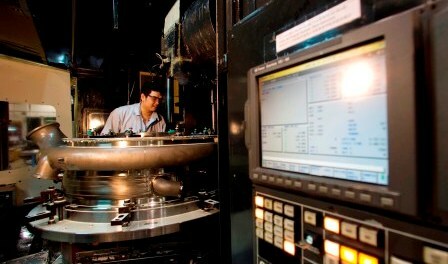 Our state-of-the art machining centers can machine parts as large as 3.4m in length. This is well supported by a complete range of special process and Non Destructive Testing (NDT) capabilities to provide a one-stop manufacturing service for our global customers. The products are delivered from its facilities in China, Malaysia, Singapore and Thailand.